How archaeological discoveries from Judah’s second largest city correspond with biblical history. Israelite gate complex at the entrance to Lachish. It stood proud as a city second only in importance to Jerusalem for the Kingdom of Judah. 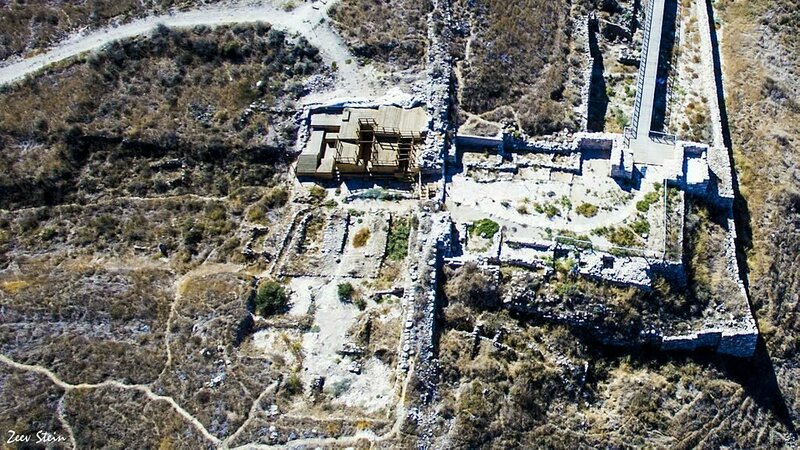 And yet, unlike modern-day Jerusalem, Tel Lachish has been left untouched since the days of the Greco-Macedonian Empire, free of development, leaving behind a veritable archaeological gold mine for excavators. Archaeologists have taken their cue, with excavations beginning in the 1930s and continuing on and off throughout the decades, revealing stunning finds all the way into 2016 that picture a microcosm of ancient Israel and confirm the accuracy of the biblical account. Here’s a brief overview of the city and its amazing discoveries that have been made to this date. The first biblical mention of the ancient city of Lachish, found southwest of Jerusalem, is in the book of Joshua. “Wherefore Adonizedec king of Jerusalem sent unto [certain kings] and unto Japhia king of Lachish … saying, Come up unto me, and help me, that we may smite Gibeon: for it hath made peace with Joshua and with the children of Israel. Therefore the five kings of the Amorites [including] the king of Lachish … gathered themselves together, and went up, they and all their hosts, and encamped before Gibeon, and made war against it” (Joshua 10:3-5). Like Jerusalem, Lachish was inhabited before the Israelites by the Canaanite, or more specifically Amorite, people (as verse 5 reveals). They went to war against Gibeon and the Israelites, whereupon they were overthrown (verses 6-8, 23-27). 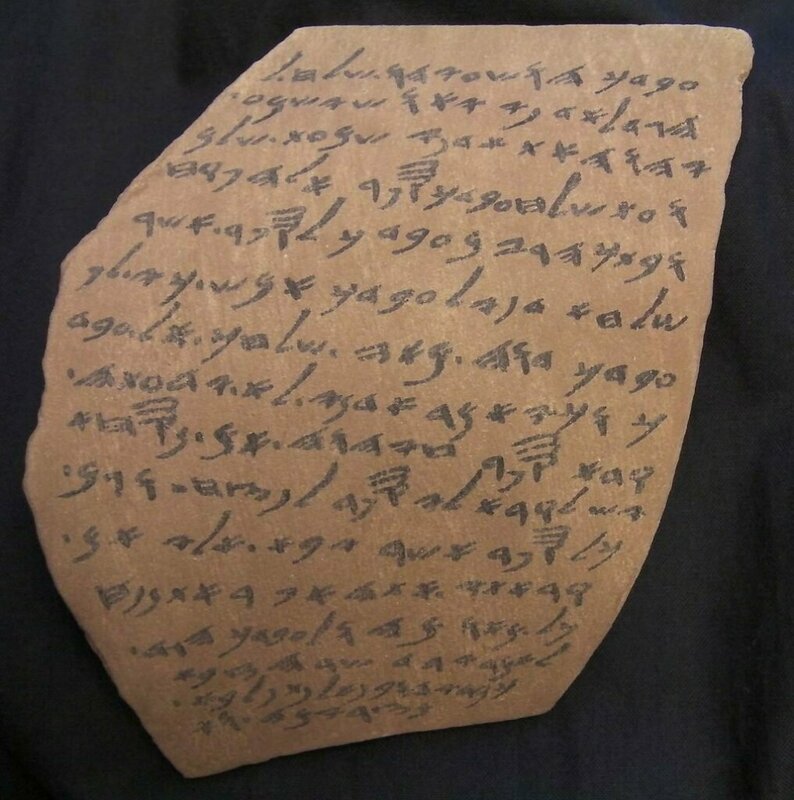 Interestingly, the name of the city Lachish is mentioned several times in the Amarna Letters, a trove of documents sent by the leaders of Canaan to Egypt, desperately asking for help in battling against the invading Habiru people who were threatening to overthrow the entire land of Canaan. The letters document the terrifying advancement of the Habiru against places like Lachish and Jerusalem. The interesting link between the Habiru and Hebrew names is unmistakable. Tel Lachish has yielded a rich display of finds from this Canaanite period. The city was replete with a pagan temple, idols and cultic objects that have been discovered and documented. However, the archaeological record shows that the city was utterly destroyed and consumed by fire—a witness to the conquering Israelites. Lachish fell to the Israelites shortly after their battle at Gibeon, as Joshua 10:31-35 describe. According to archaeological evidence, the city was thereafter left uninhabited for many years—perhaps as long as two centuries—before it reemerged as a powerful Israelite fortress. Excavations show Lachish was next restored sometime during the 10th-9th centuries B.C.—directly in conjunction with the next chronological biblical reference (2 Chronicles 11:5-12). This time period saw King Rehoboam take the reigns of leadership from his father Solomon—and the subsequent quick breakaway of the northern 10 tribes of Israel from his rulership. Rehoboam naturally wanted to consolidate the power that he still retained in the southern kingdom of Judah—and as 2 Chronicles 11 describes, he did this by strengthening the surrounding cities. Entrance to the main gatehouse. “And Rehoboam dwelt in Jerusalem, and built cities for defense in Judah. He built [a list of cities] and Lachish … and he fortified the strong holds, and put captains in them, and store of victual, and of oil and wine. And in every several city he put shields and spears, and made them exceedingly strong, having Judah and Benjamin on his side” (verses 5-6, 9, 11-12). This city of Lachish slots perfectly alongside archaeological finds dating to a 10th-century B.C. rebuild under King Rehoboam. And its building style further shows evidence of a typical Israelite design. Tenth century Israelite cities have turned up an interesting gate structure, known as the six-chambered gate. These large stone entrances had three chambers on either side where business could be conducted, or where reinforcement could be added in the event of a siege. Many of these gates date to the time of King Solomon, proving that a powerful centralized government must have been present in order to standardize the construction of these gates all around Israel. Three particular examples of these notable gates, dating to the time of Solomon, were found in the cities of Megiddo, Hazor, and Gezer—three cities directly mentioned as having been built up under Solomon’s command (1 Kings 9:15). The Bible describes Israel’s city gates as an important place of trade, commerce, diplomacy and judging. It was at a city gate where Boaz sat down with the elders to settle a transaction with a relative (Ruth 4:1-2, 11). It was where David’s son Absalom stood to sway those coming into the city to his favor (2 Samuel 15:2-6). It was where King David himself sat in order to reassure his people after a battle (2 Samuel 19:7-8). It was a general place where judgment was to be carried out (Amos 5:15). The six-chambered gate found at Tel Lachish fits the same mold. Benches with armrests were found within the gate chambers, alongside jars stamped with official lmlk (“belonging to the king”) markings and scoops for filling containers with grain or other products. One of the particularly remarkable finds made at Tel Lachish this year would ordinarily be an unlikely contender for great biblical or archaeological significance: a toilet seat. Archaeologists were excavating a room inside Lachish that housed a number of pagan altars. The altars themselves had been vandalized, with their horns (or corners) smashed (itself a deeply symbolic act, Amos 3:14), and archaeologists discovered a toilet placed in the corner of the room. There was no evidence that the toilet had been used—its presence was merely symbolic. Which does, in fact, have a biblical precedent. “And they brought forth the images out of the house of Baal, and burned them. And they brake down the image of Baal, and brake down the house of Baal, and made it a draught house [public toilet] unto this day. Thus Jehu destroyed Baal out of Israel” (2 Kings 10:26-27). This vandalizing of the pagan room of worship at Lachish is thought to have been done by King Hezekiah during the period of revival of the worship of God under his reign (2 Kings 18:4, 22). It confirms a tradition, then, as recorded about the actions of Jehu (an earlier king of the northern kingdom of Israel), to show utter contempt toward pagan worship taking place. It is the first archaeological evidence ever found that confirms this kind of act, as recorded in the Bible. 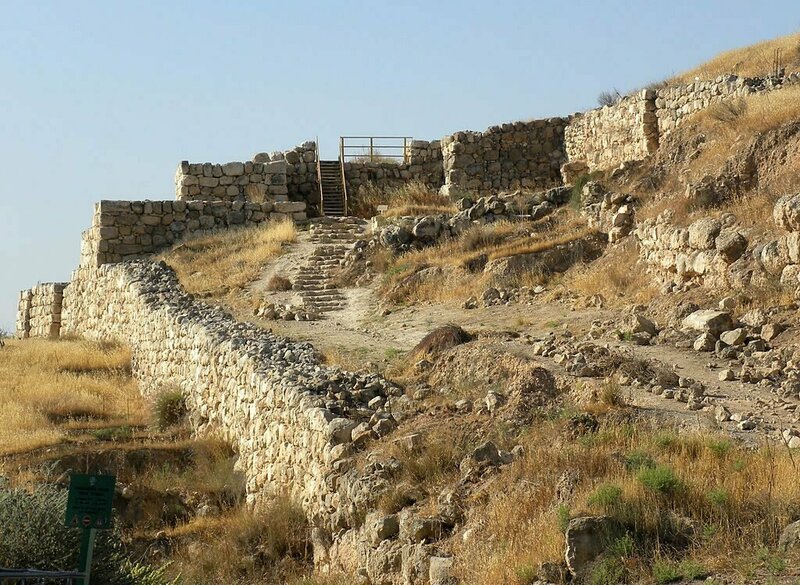 Lachish’s destruction during the time of King Hezekiah is well documented—in biblical history, in archaeology, as well as in the Assyrian records. The miracle of how God protected the city of Jerusalem from the invading Assyrian army is well known—perhaps not as well known is the history of how Lachish was overthrown beforehand in 701 B.C. “After this did Sennacherib king of Assyria send his servants to Jerusalem, (but he himself laid siege against Lachish, and all his power with him,) …” (2 Chronicles 32:9). 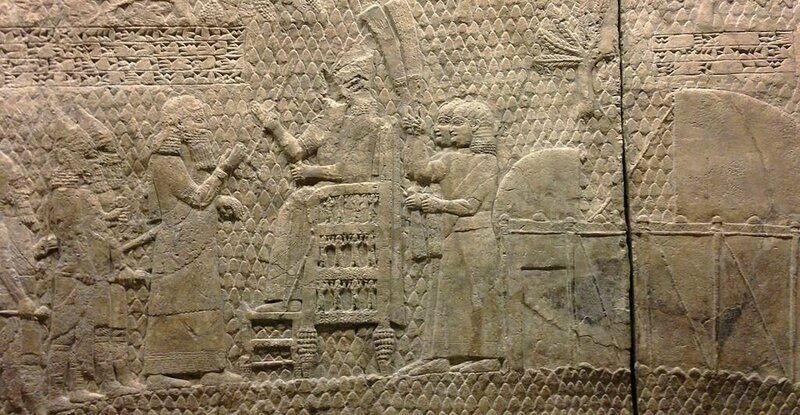 Archaeologists have discovered massive carved portrayals (what are known as “reliefs”) of this siege against Lachish in the Assyrian palace at Nineveh. The long, detailed depictions show masses of Assyrian soldiers attacking, defeating and then leading away captive the Jews from this city. The portrayal also shows the city gate being besieged, and massive siege towers being pushed up a ramp in order to attack the city. These depictions match exactly what has been revealed at Tel Lachish—a massive siege ramp has been identified at the site that these Assyrians would have used in order to launch their assault on the city from atop the towers. Much weaponry was also found, evidencing the terrifying battle that was fought at Lachish. Remains of the Assyrian siege ramp. Another interesting tidbit of information is that the Assyrian reliefs depict an array of grapevines in the area. 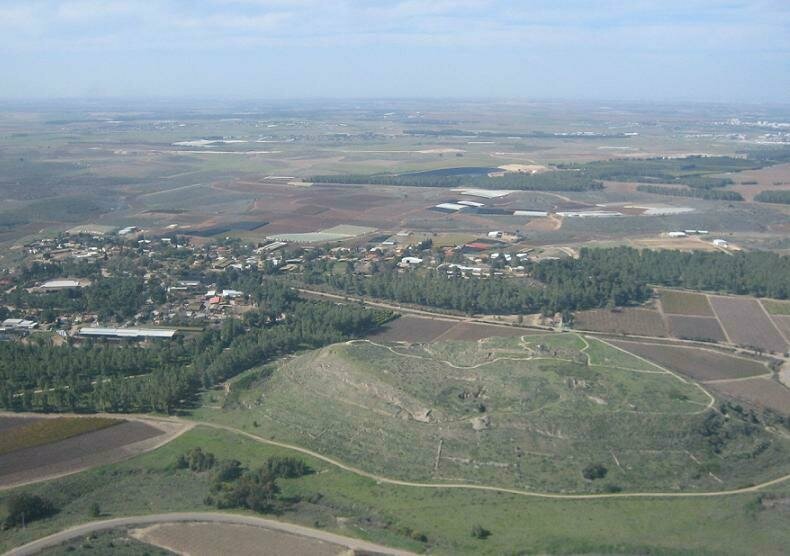 Even today, the land abutting Tel Lachish is a significant grape-growing area. And may (my lord) be apprised that we are watching for the fire signals of Lachish according to all the signs which my lord has given, because we cannot see Azekah. Fire signals were given between distant major cities as a sign that all was well. The fact that the major city Azekah had failed to deliver a fire signal was a fearful sign that the city had already fallen to the Babylonians—and thus this outer city officer was worriedly watching to see if Lachish would deliver a fire signal (Jeremiah 34:7). 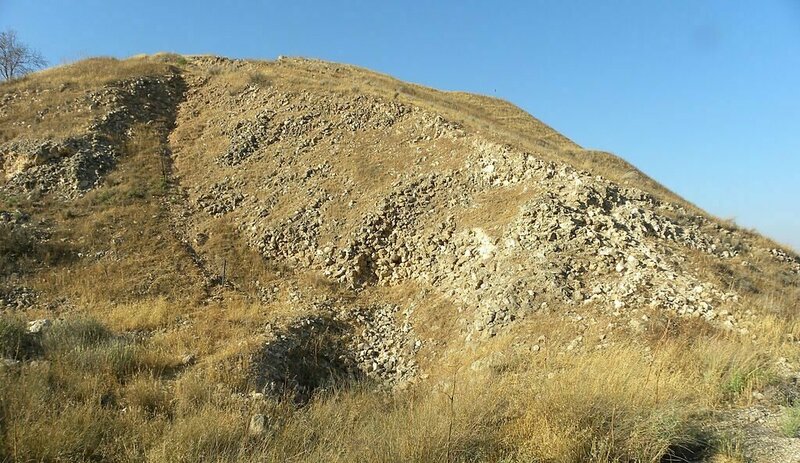 The destruction that followed shortly after marked another end for the fortress Lachish—yet the city would continue to function, at least in a limited capacity, until Greek times. Since then, however, the site has remained dormant, providing a spectacular location for archaeologists to reveal a past frozen in time. The history discovered at Lachish truly is a microcosm of Israel’s history as a whole—from the conquering of the Promised Land to the massive grand construction as a powerful fortress to a cycle of pagan worship and then revived worship of God to the destruction by the Assyrians and final destruction by the Babylonians. It is a city that has witnessed a massive amount of bloodshed and suffering. Even in recent times, Lachish has still drawn blood. British archaeologist James Leslie Starkey was the first chief excavator of Tel Lachish, working there in the 1930s (his team revealed the Lachish Letters). In 1938, Starkey was robbed and killed by Arab terrorists on his way from Lachish to Jerusalem. It is believed that Starkey was murdered in revenge after a dispute with landowners at Lachish, after his desired place of excavation was expropriated from the landowners and not fully reimbursed. A leading terrorist held responsible for Starkey’s death was killed months later in a battle with the British. Since that time, however, Lachish has been excavated peaceably with no such troubles. And while Jerusalem remains the most significant Judahite city, its heavy population, multiple destruction and reoccupation layers, and unique current political situation unfortunately make it an extremely limited area to excavate. Not so, however, with the second-most important biblical Judahite city—that of Lachish. From this city we have been able to gain a greater understanding of Israel’s history, with a broad array of tangible remains that can be seen and touched, giving us an amazingly glimpse into Israel’s history.